US allies would be well advised to keep a weather eye on the nuclear modernisation debate now unfolding in Washington. That’s because they have important interests at stake—including the future of extended nuclear deterrence and assurance. Those interests are sometimes obscured by the scale of the modernisation challenge now confronting Washington. Just about every delivery vehicle in the US arsenal is approaching end of life. Land-based intercontinental ballistic missiles, ballistic-missile-carrying submarines, strategic bomber aircraft and tactical nuclear aircraft are all scheduled for replacement over the next decade or two. Many warheads need refurbishment. So too do national command and control centres. That’s because modernisation happens in waves. The bulk of the arsenal was built in the 1950s and modernised—under Reagan—in the 1980s. With so much on the table, critics of the modernisation agenda have fertile ground to plough. Does the US need to retain all three legs of its strategic triad? Does it need to replace every delivery vehicle, or can it get by with fewer of each? And what of the tactical mission? 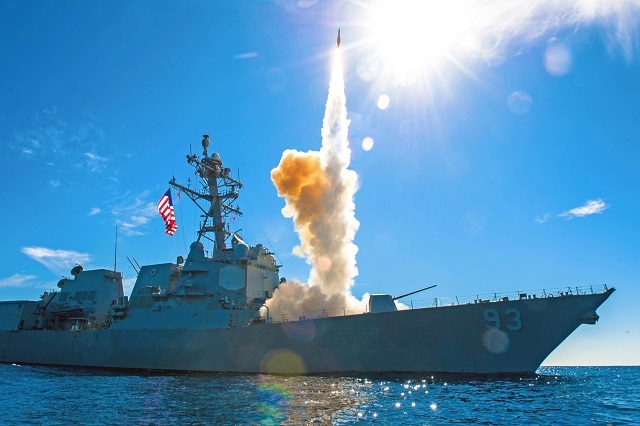 Analysts Lawrence Korb and Adam Mount have recently argued that the US should rein in its modernisation plans, including by eliminating the tactical nuclear mission. They worry that a new bout of modernisation in the current context of rising geopolitical tensions ‘could do serious damage to the global nonproliferation regime, as well as to relationships with some US allies who remain invested in disarmament’. If Washington were to eliminate the tactical nuclear mission, it wouldn’t need to modernise its stock of B-61 nuclear bombs. It could withdraw 200 nuclear warheads from Europe. And it wouldn’t need a special variant of the F-35 to pick up tactical nuclear tasks. That would save a bucket of money. But disarmament isn’t the most important consideration here. The tactical mission is uniquely targeted to support US allies. Can the US strategic arsenal readily fulfil that role? In one sense, it doesn’t much matter if a particular target is destroyed by a tactical or a strategic warhead. But in terms of maximising deterrence and assurance effects, the shape of the arsenal matters a lot. During early crossings of the conventional-nuclear firebreak, it’s important that nuclear use be both discriminate and restrained. The strategic arsenal’s not as flexible as some might think for signalling both commitment and restraint to an adversary. Nor is it good at signalling assurance to an ally. Let’s start with the ICBMs. Washington has now de-MIRVed its entire ICBM force. So in theory this leg of the triad offers great flexibility for possible use in early nuclear exchanges. But neither of the Minuteman warheads (the W78 and the W87) is small; indeed they have yields of about 350 kilotons. Moreover, the location of US ICBM fields means that just about any use of an ICBM against a regional aggressor in the Middle East or East Asia would require overflight of Russia by a nuclear-armed missile. When is a US president ever going to authorise that? The nation’s fleet of ballistic-missile-carrying submarines don’t suffer from an overflight problem. But the yield of their warheads is still large—indeed, the W88 warhead is probably the most powerful ballistic missile warhead deployed by the US. And SLBMs typically carry multiple warheads, which sounds like overkill for most tactical nuclear missions. Perhaps—as Elbridge Colby has argued —some SLBMs can be deployed with fewer, low-yield warheads, deliberately to enhance the options for discriminate, restrained nuclear response. But that’s not where we are now. Still, there’re other problems with SSBNs/SLBMs. In US doctrine, those submarine assets represent a secure second-strike capability. They’re not usually poised at the conventional-nuclear firebreak. Moreover, deployments are largely invisible—once the submarine sets forth on its mission it disappears from view. It’s hard for a submarine to signal a commitment to an ally during a time of tensions. When the US wanted to strengthen its assurance of South Korea after the recent North Korean nuclear test, it conducted an overflight of South Korea with a strategic bomber. It didn’t put another SSBN to sea: it wanted to be seen—and heard. Strategic bombers aren’t invisible. They’re great for assurance, but face challenges in actually conducting their mission. As air defences get steadily better and more capable adversaries enhance their anti-access area-denial capabilities, bombers will find it harder to penetrate to their targets. True, many of those difficulties also attend the tactical nuclear mission and the assets devoted to it. The B-61 bomb is a gravity bomb, and requires the aircraft to be virtually in visual range of the target before use. But that’s an argument for a more versatile tactical arsenal, not for eliminating the current one. The shape of an arsenal is important, even if it’s not the sole determinant of an effective nuclear strategy. And a tactical nuclear arsenal has one big, important political message for allies that the strategic nuclear arsenal can’t deliver. It says that Washington takes its extended nuclear deterrence and assurance commitments seriously. A strategic nuclear arsenal is just that—it’s an arsenal whose central limits  are negotiated with Russia, and which is dedicated to the protection of US vital interests. The US would retain much of its current strategic nuclear arsenal if it had no allies at all. In short, if Washington were to head down the path of eliminating the tactical nuclear mission, it could do serious damage to relationships with allies who remain invested in national and international security. Rod Lyon is a fellow at ASPI. Image courtesy of US Department of Defense.